Give career professionals an impressive gift they’ll enjoy every day at the office with our collection of classy customized office supplies. These quality gifts are suitable for any office professional, including administrative assistants, managers, supervisors and entrepreneurs. 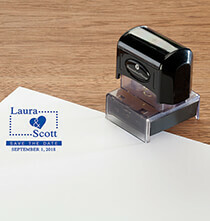 Looking for personalized teacher desk accessories? 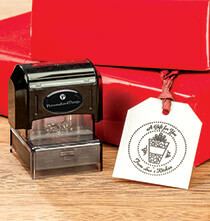 Browse through this section to find the perfect teacher gifts. Work responsibilities can generate mounds of paper that tend to end up in various desk piles. Help professions keep papers from scattering about with a monogrammed paperweight. Our paperweights look beautiful on any desk and they’re a quick solution to a common problem. Make it easy for students, faculty and parents to identify teachers by giving them personalized name plaques. Select one or more of our classic frame styles to present to a hard-working office professional who enjoys displaying photos and certificates. Exposures photo frames come in various sizes and in neutral colors that blend well with office décor. Options include table frames and mountable wall frames. 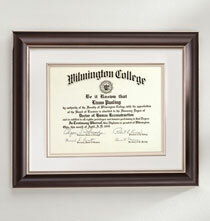 Conservation document frames beautifully display degree diplomas, awards and certificates of achievement. Professionals often carry business cards with them when they go to meetings, conferences and trade shows. It’s also common to exchange business cards at networking events, luncheons and during unexpected encounters. This provides you with an opportunity to give the professionals in your life customized business card cases featuring their engraved initials or name. For the office, opt for a desk top card holder. These classy holders help keep business cards neatly organized. As you browse this PersonalizedThings by Exposures section, you’ll come across a nice selection of office desk organizers and tools. Organizers may include cups, trays and dishes made from quality materials. Professionals appreciate organizers for their attractiveness and practicality. Pen sets are another type of traditional office gift that is often used during working hours. Our pen set styles range from traditional to highly creative. Continue browsing to find cool office accessories such as personalized note cubes, digital device cases and so much more.